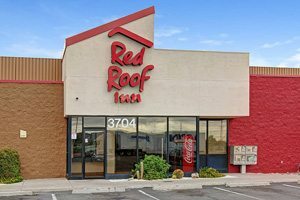 3750 E.Irvington Road Tucson, AZ 85714. 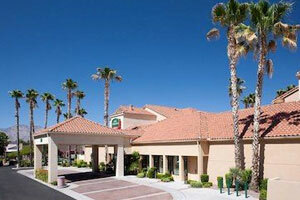 The JOGS team has prepared a list of hotels that are located near the Tucson Gem Show. We are looking forward to seeing you at the JOGS Show! 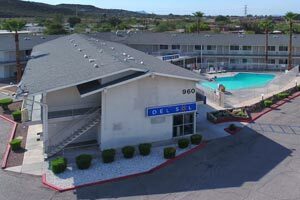 Below are a few hotels located near the Tucson Gem Show and the Tucson Expo Center, but we recommend visiting the Interactive JOGS Hotel Map as well which will show you exactly what hotels are available and how far they are from the Tucson Gem Show. 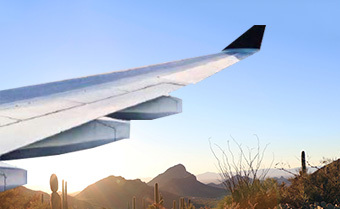 Special Tucson Gem Show Rates Available! 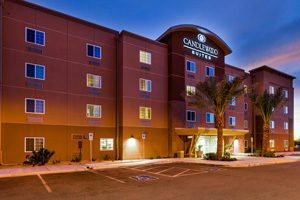 Please contact Tucson Hotel reservation coordinator Melissa Huang directly to book these rooms at these discounted prices for the JOGS Tucson Gem Show. Call (415) 828-3688 or email [email protected] to book. The Fall Show rates (August 29 – September 1, 2019) is the cost shown plus a one-time $50 booking fee per room/suite. Please note that these services are provided by trusted third party hotel reservation service (Melissa Huang) which are not directly associated with JOGS Show organizers. The JOGS Show does not collect any fees associated with your hotel bookings and JOGS Show organizers are not responsible nor liable for any discrepancies etc. associated with the hotel bookings rates and booking conditions. 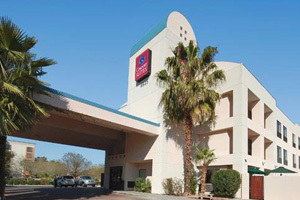 Special Tucson Gem Show Rate Available for Courtyard by Marriot! The Bistro – Eat. Drink. Connect.® providing you with breakfast, pre-dinner cocktails, or evening dinner options. 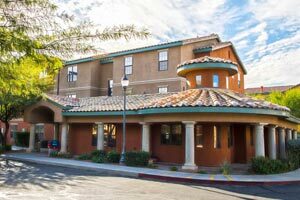 Special Tucson Gem Show Rate Available for Towneplace Suites by Marriot! 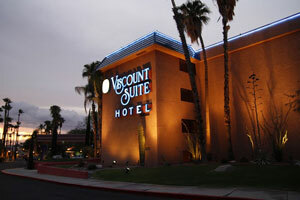 Special Tucson Gem Show Rate Available for Viscount Suites! 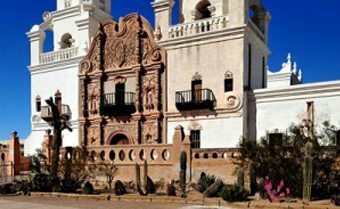 Special Tucson Gem Show Rate Available for Hotel Del Sol! 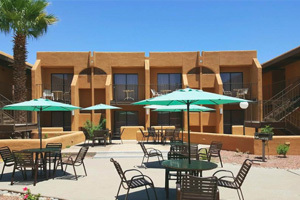 Special Tucson Gem Show Rate Available for Stay Tucson Inn and Suites! Get a great night of rest in one of our spacious rooms, all of which feature a TV, a coffee maker, hair dryer and iron with board. Some rooms offer a flat-screen TV, balcony, sofa sleeper, microwave and refrigerator. Breakfast buffets included daily for all guests in the room or king suite. 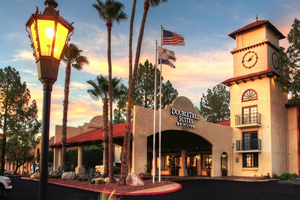 Special Tucson Gem Show Rate Available for Doubletree Hotel BY THE AIRPORT! 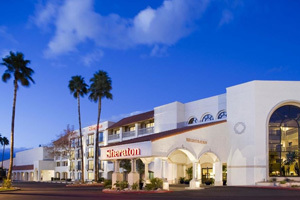 Special Tucson Gem Show Rate Available for Sheraton Hotel! Hot breakfast buffet included in rate. 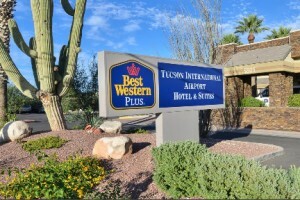 Special Tucson Gem Show Rate Available for Best Western Plus! 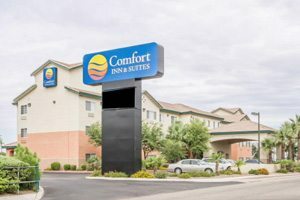 All rooms offer a 42-inch LCD television, refrigerator, coffee maker, alarm clock, large desk, security safe, hairdryer, iron and ironing board and individually controlled AC units. All guests will enjoy Complimentary Full Hot Breakfast and Complimentary WiFi during their stay. 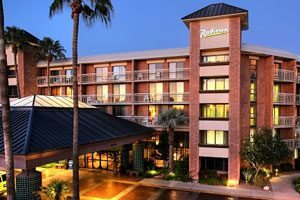 Special Tucson Gem Show Rate Available for Radisson Suites! Please note these hotels are listed for your convenience. 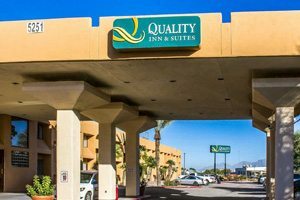 JOGS International Exhibits, LLC does not represent these hotels, and does not make any guarantees about their quality, features or price. Driving times are approximated during no traffic through Google Maps. * The Winter Show rates (January 31 – February 11, 2019) is the cost shown plus a one-time $50 booking fee per room/suite. Most rates only apply to our winter show and are valid during the Tucson Gem Show. JOGS is not responsible for booking or hotel arrangements. Please contact Melissa Huang for all inquiries.